The month of May is a special time to celebrate Mothers. 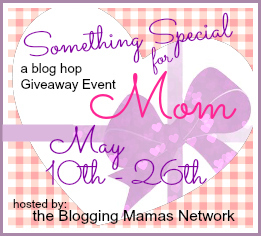 Whether you are a mom yourself or you're doing something special for your own mom, the Something Special for Mom Giveaway Event is for YOU! A great group of bloggers have come together to show you special items you might like to receive or give as gifts this month. You'll be able to enter to win these great products from May 10th-26th thanks to the Blogging Mamas Network! Be sure to hop around to all of the participating bloggers, in the linky below this giveaway, as they have some great prizes to share with you! Make sure you also enter the Grand Prize - a $250 Gift Card to Mía Mariú! One lucky Mama is going to look so pretty with all that eco-friendly makeup! Jubilee Reviews is excited to share LDuncan Apparel with you this Mother's Day! They are a mix of classic and contemporary apparel and accessories for men and women. Handbags, wallets, sunglasses, belts, t-shirts and more for your personalize look. I have been in need of a new wallet for a few years, but just haven't taken the time to find one. 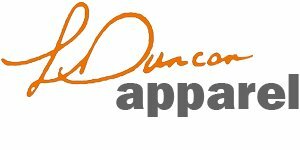 Once I saw that LDuncan Apparel had them, I knew that was what I wanted to review for you all. The only problem was, I snagged the last of the one I reviewed, but LDuncan sent along another great wallet for a giveaway for our Special Mom event! I liked the Valentino for the zippered closure, and isn't the leopard print inside beautiful! I have an over amount of room in this wallet for all my cards plus some. Definitely a keeper! The Embossed Patent Wallet below is a nice shiny black, and again with lots of room for storing your money, gift cards, change and more. $5 GC to Starbucks as well! I would Love to have the Love Lock in Hot Pink! Thanks for a chance to win this fantabulous giveaway! I love the Dazzling Clutch! I like the Dazzling Silver Clutch! I'd like the Valentino Serenpidity Tote (Pink). I love the Pretty Fly necklace and earrings. I'd love to have the Patent Leather Zip Ribbon in Red. The Patent Leather Zip Ribbon (Red). ooh,i would love the satin rose hobo bag in purple! I would really love to have the light pink crystal clasp handbag. I like the Ally Tote (Black). Thanks. I'm an absolute purse freak. I'd love to have the Patent Leather Zip Ribbon purse in red!! I <3 the Love Lock!!! I would like to have the Bella Tri-Blend V-Neck. I like the Satin Rose Hobo (Hot Pink)bag. I love the Looking Glass Necklace in champagne. I love the dazzling clutch - it's just perfect! Would LOVE the Round Robin Sunglasses! I really Like the Ally Tote - Black. The gemstone cuff would be great for a fun night out! I like the Round Robin Sunglasses. I like the Wild Butterfly necklace set. I like the Love Lock (white)handbag. It's so cute! I like the Snakes on a Plane watch. It looks classy! I like the Olympian watch! I love the patent leather zip ribbon bag. I like the bella shear racerback. I like the Wild Butterfly Set! Thank you for the giveaway! The Valentino Lux in Black and Grey handbag, or the Satin Rose Hobo in Pink, Hot Pink, Red, or Purple - I love all the colors in that handbag. I would love to have the gemstone cuff. I love the Pretty Fly necklace and earrings set. I like the Red Patent Leather Zip Ribbon Purse! I would really like to have the "Pretty Fly" set (necklace & earrings). The colors on the butterfly are beautiful! Love the Studded Hobo bag. I love the Studded Hobo purse! I really like the Bella Tri-Blend V-Neck and the price is nice too! I like the Crystal Clasp (Black) handbag. I like their rhinestone studded butterfly belt. I like the Bella Melody T-shirt. I love the Valentino Lux (Red and Brown). I love the Round Robin Sunglasses. I love the Ruby Bracelet . I like the brown leather hobo bag. I like the Patent Leather Zip Ribbon (Brown) purse. I like the Pretty Fly necklace. Love the Thinspiration (Brown), what could make me feel better than a new purse.